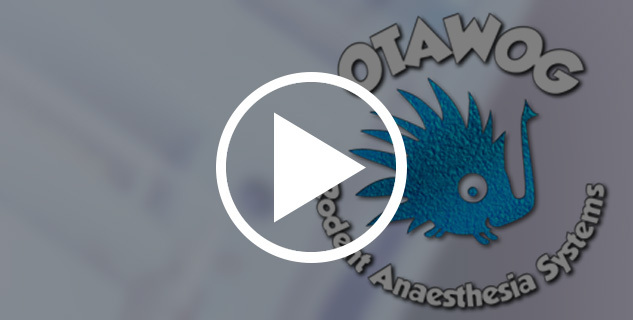 Otawog Rodent Anaesthesia Systems - A Knock Out Product! What this surgical centre can do for you: Otawog the one-stop-surgical-shop. 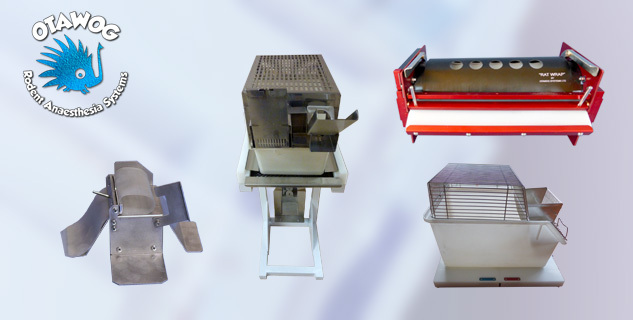 A complete package of easy to use equipment designed for simple and safe operation. As induction occurs on the surgical table the animal is only handled once. Aseptic surgery is promoted by the instrument trays, surgical drapes and disinfectant solution on hand. Surgery is simplified by two surgical lights and a customised wound retractor. The patient’s position can be changed during surgery by turning the table. Survival is promoted by the clear plastic drape which allows full patient view and traps heat to assist maintain body temperature by the heated table. After surgery the drape functions as an oxygen tent during the immediate post-operative period preventing the recovering animal from falling to the floor. When surgery is finished, the instruments, drugs and miscellaneous equipment can be neatly stored away in three drawers, while the table and lights fold inside and two key locks provide secure theft-proof storage. With wheels and a carry handle, the mobile surgical shop can be moved and/or placed under the lab bench. Seldom do you find an entirely new product line in the market. 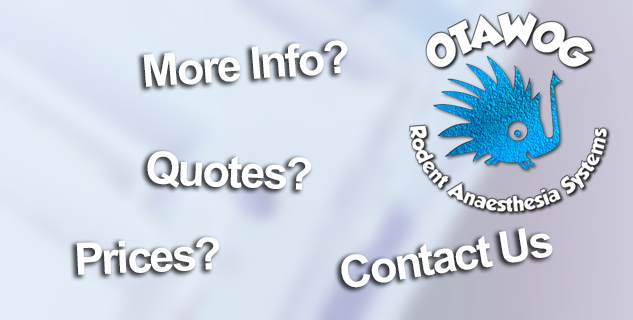 But Otawog Systems has developed the one and only mobile anaesthetic rodent surgical centre. Not only are there brilliant products but there is more. Depending on the procedure you are undertaking we have the accessory to make it easy. To develop and manufacture innovative systems which assist scientists use experimental animals. 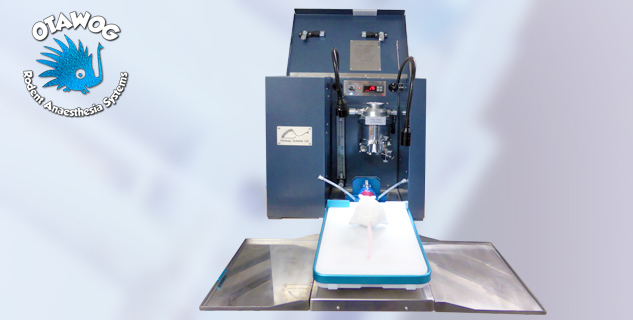 Otawog is committed to refining current techniques in order to promote the welfare of experimental animals used in research, testing and teaching.